This week I was fortunate enough to chat with Eric Schranz, the host of the absolutely wonderful Ultrarunner Podcast! Years ago I binged a bunch of his episodes and then decided to sign up for my first 50k. So yeah…it’s his fault that I’m an ultrarunner! In fact, if you are curious about looking into the sport of ultrarunning, I would highly suggest that you check out the URP as it is a great resource to learn all about this crazy sport. Each week, Eric shares a wide variety of stories from the world of ultrarunning. From elite athletes to regular every day folks to simply some insane people running some insane events! He also highlights the diverse nature of the sport; everything from 100 mile point to point mountain runs to self supported stage races to events where participants literally run for days around high school tracks. All the while learning tips of the trade, hearing wild adventure stories from his guests, and nerding out over some of the biggest events in the sport. Seriously, one of the best sports podcasts out there! 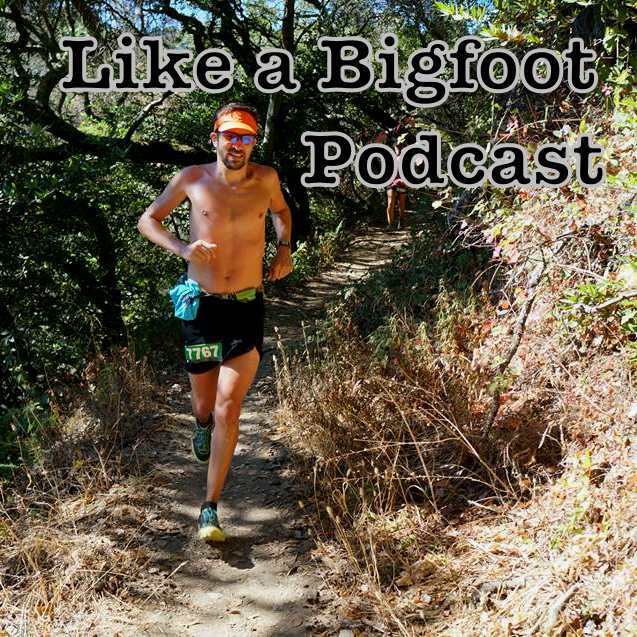 I was excited to geek out with Eric about podcasting and the sport of ultrarunning while hearing more about his own running career. 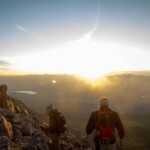 In this episode he tells us the best event to start with for all the people pursuing their first ultrarunning event, explains the joys of alpine horning (is that the correct verbiage? ), enlightens us on the benefits of running circles around the a city park for 24 straight hours, and why ultrarunners need to be adaptable. 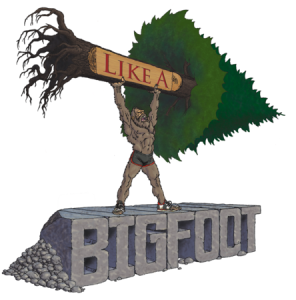 If you enjoyed this episode, please check out the rest of the Like a Bigfoot episodes. Not all the stories are ultrarunning related, but I promise that you will find motivation, achievement strategies, stories of adventure, wilderness and plenty of tales with blisters and suffering! Next week we are sharing stories of insane endurance events from race director Candice Burt (Tahoe 200, Bigfoot 200, and much more). See you then!! !